I am a peruvian architect graduate of the University "Ricardo Palma" Lima / Peru (2006). In 2004 I worked as an assistant in the Atelier of Art and Sculpture "Carlos Galarza" of the URP, led by architect Jesús Peña. During this time we were researching about art, architecture and lightweight structures. During this time, we developed an effective way to structure three-dimensional puzzles. 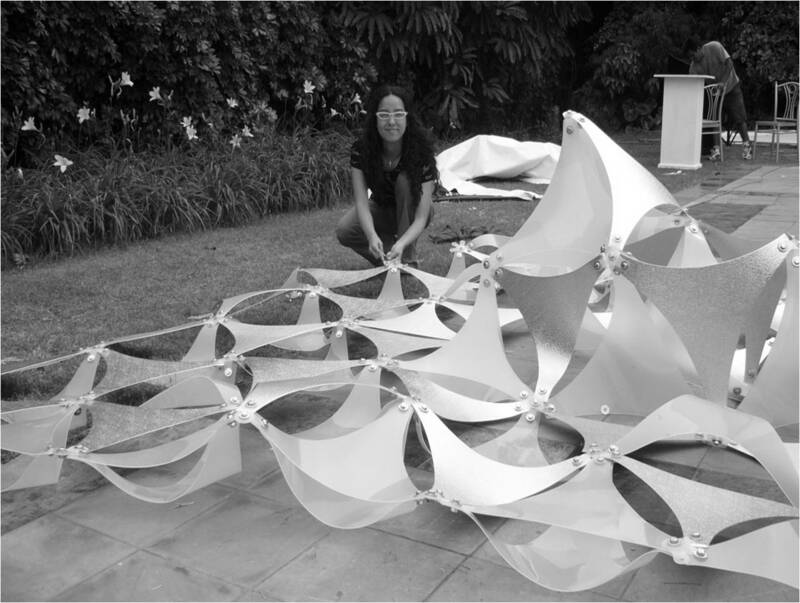 It´s about a morphostructural mechanism that we call Morflex , which won first prize in the First International Competition of tensile structures in 2005. Also I had the opportunity to be a speaker at international conferences such as , such as those organizing by the International Assosiation for Shell and Spatial Structures; Adaptables and Structural Membranes. Currently I am co-founder of Morflex Studio. This studio works as multidisciplinary group focused on pertinent innovation which aims is to contribute with local and global development. Finally I am very interested in learning and developing knowledge about digital fabriacion.I am certain that Fab academy will be very useful to improve our local and global production.